This product contains two pages with the numbers 1-10. 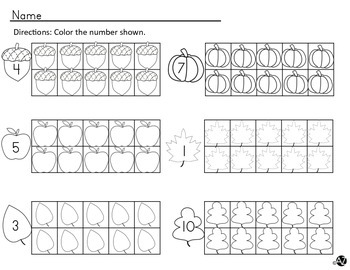 Students color in the designated number of fall items such as apples, acorns, pumkins, etc. inside the tens frames. 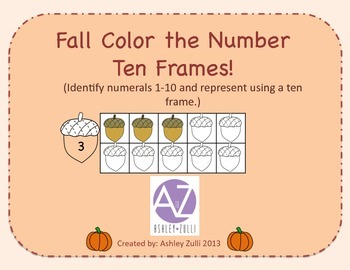 This activity is great for introducing number groups, reviewing numbers, and would make an excellent center activity.